Good morning once again to all of you dedicated salespeople and ultra-focused businesspeople! I continue to consider it a privilege to have a few minutes out of your day throughout the week to share with you … my hope and goal is that some of the thoughts, ideas, and inspiration can be a part of you growing personally as well as in your business this year! If you remember in our last conversation we were looking at the idea that we are in one of two states of mind at any given time—either the ‘power’ state or the ‘reactive/negative’ state. The challenge is that for ALL of us, it is too easy to find ourselves ‘below the line’ and in that place of ineffectiveness, frustration, and discouragement. So what do we do when this happens? Our goals are massive, our dreams and hopes are all hanging in the balance, and we absolutely want to push forward and expand our business footprint. The assignment that I had left you with last time was simply to raise your level of awareness about how much time throughout the day you might actually slip into a place that is defined by fear, anger, confusion, depression, or paralysis. I want you to imagine lifting a bowling ball off of the floor and putting it on a shelf … takes some effort and energy, agreed? What does it take for that ball to fall off of said shelf and land with a thud back on the floor? How easily can that happen if we’re not careful? The truth is, it may not take all that much to knock us off of our mental high-point. A few transactions looking like they’re going to fall apart … a couple of angry responses to our prospecting … even the frustration of unreasonable clients that we’re trying to put a deal together with can be enough to send us to our own crash-landing on an emotional floor. Let’s look at a simple plan for what you can do to ‘jump back above the line’. Just like putting that bowling ball back on the shelf will require energy again … you also are going to have to tap into some mental energy. Step 1: Awareness. Are you in the reactive state or not … be honest! You have to be willing to admit that you’re being held hostage by one of those negative emotions. There are none so deceived as those who are self-deceived. Step 2: Understand what it costs you to stay there, ‘on the floor’. Your time is a precious commodity and the more of it you spend below the line, the less you have to use on accomplishing your goals, plans, and dreams. Is it worth it? Step 3: Implement a state-changing routine. There are 4 major state-changers that we respond to as human beings—(in no particular order) exercise, prayer, music, humor. You need to have a pre-determined course of action that you’re going to use to push, pull, and prod yourself back to that energetic, powerful, productive state of mind that you and I both know you have to be in if you want to set appointments and get contracts signed! Step 4: Practice and be prepared. You need to be your most reliable ‘first responder’ … it should be a high speed reaction, almost an unconscious reaction to work through this plan the next time that adversity strikes and you fall off the shelf. Have a series of comedy clips available to begin watching … keep a high-energy playlist on your device with the label ‘Power State’ and play it every time you recognize you’re not in the right state of mind. Have a place you go to for prayer or exercise … work it out in advance like a home disaster drill with your family, because this is as much of an emotional emergency as that fire or tornado on the physical plane. Okay, time to get to it. 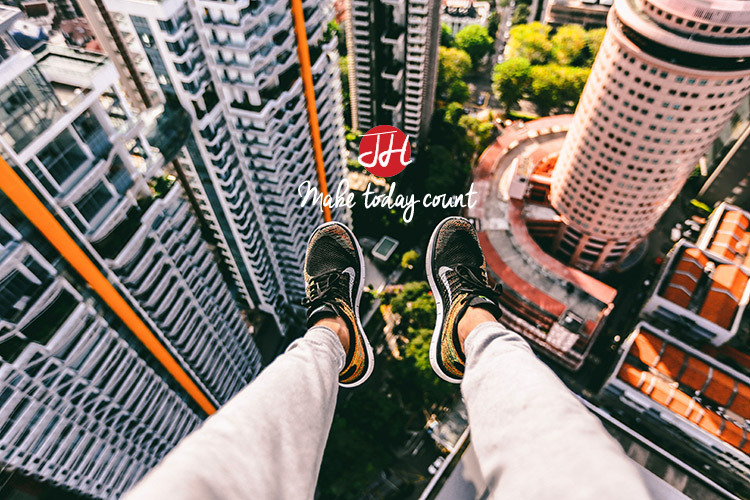 Get out there and make today count!